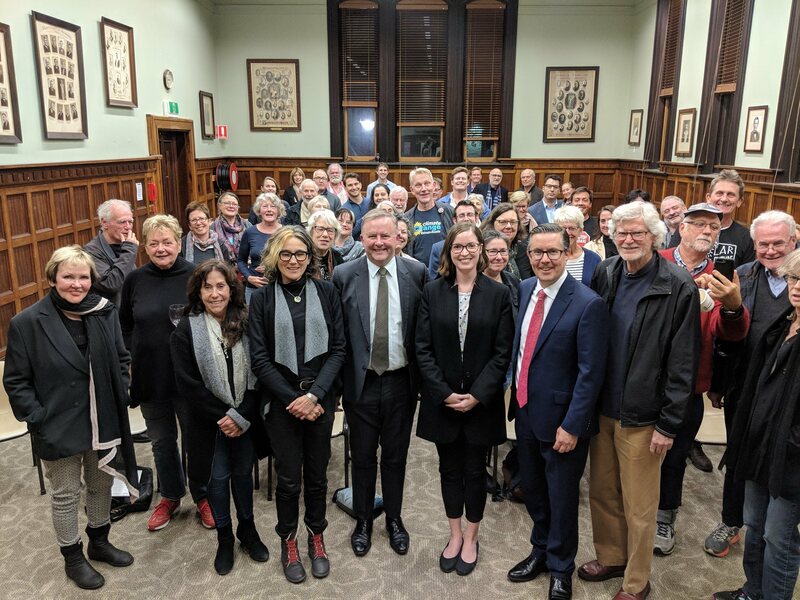 Last night I hosted a community forum at Balmain Town Hall to discuss the future of climate change, energy and the environment in Australia. The well attended event was organised by the NSW Labor Environment Action Network (LEAN) with Shadow Minister for Climate Change and the Environment, Mark Butler appearing as a guest speaker. NSW LEAN is a grassroots network of Labor Party members and supporters who are concerned for the health of the planet and work to influence policies that support strong action on climate change and the environment. Mark Butler has been a champion of real action on climate change and is responsible for developing Labor’s climate change action plan, which includes plans for cleaner power generation, cuts to pollution, and increased energy efficiency. Discussed at length on the night was Labor’s plan to introduce new emissions standards for motor vehicles. The proposed changes will see a massive reduction in transport pollution and save motorists thousands of dollars in on-road costs. Tackling climate change is a Labor Priority. It is our promise to young Australians – 50 per cent renewable energy by 2030, 45 per cent cut in emissions by 2030 and net zero emissions by 2050. I am looking forward to hosting future policy forums, they are important events that engage the local community with national issues.